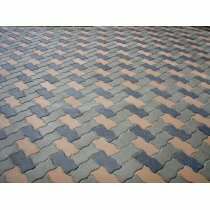 Rubber molds for concrete stone PAVER STONE MOLDS Application ar.. Plastic molds for concrete stone PAVER STONE PLASTIC MOLDS Appli..
Paver stone mold PS 3033	Plastic molds for concrete stone	Mold's (stone) thickness 2.36 inch.. Plastic molds for concrete stoneThese molds are designed to create own design decoration, to give yo.. Plastic molds for concrete stone PAVER STONE PLASTIC MOLDS Thesemolds a..
Paver stepping stone molds PS 5017 Plastic molds for concrete stone Mold's (stone).. Plastic molds for concrete stoneThesemolds are designed to create own design decoration, to give you..
Rubber molds for concrete paver stone PAVER STONE RUBBER MOLDS Application a..
Paver stone molds PS 8048/1	Plastic molds for concrete stone	Molds (stone) thickness 2.36" (6 cm)	A..
PAVER STONE PLASTIC MOLDS Thesemolds are designed to create own ..
Paver stone molds PS 10063	Plastic molds for concrete stone	Mold's (stone) thickness 2.36 in..
Paver stone molds PS 11060/1	Plastic molds for concrete stone	Mold's (stone) thickness 2.36 ..
Rubber molds for concrete stonePaver stone molds PS 12049/1Mold (Stone) thickness 2.36 inch (6cm)App..
Rubber molds for concrete stonePaver stone molds PS 13039/RMolds (stone) thickness 2.36 inch ( 6 cm).. Plastic molds for concrete stonePAVER STONE PLASTIC MOLDS Application areas for paving s..
Paver stone molds PS 15158/1	Plastic molds for concrete stoneApproximate Mold measurement: &n.. Plastic molds for concrete stonePaver stone molds PS 16104/1Approximate Mold measurement.. Concrete Rubber molds for concrete stonePaver stepping stone molds PS 17052/1Approximate Mold measur.. Plastic molds for concrete stonePaver stone molds PS 18056/1Mold's (stone) thickness 2.36 inch ( 6 c..
PAVER STONE PLASTIC MOLDS Paver stone molds PS 19122/1 Mold's (stone) th..
Paver stone rubber mold PS 21104	Mold's (stone) thickness 2.36 inch ( 6 cm)	Approxima..
Paver stone molds PS 24107	Mold's (stone) thickness 2.36 inch ( 6 cm)	Approximate Mold measur..
Paver stepping stone plastic molds PS 25096RMold's Size: 12" x 12" x 3"Stone Size: 10 ½" x 10 ½" x ..
Paver stone molds PS 27042	Mold's (stone) thickness 2.36 inch ( 6 cm)	Approximate Mold measurement:..
Paver stepping stone molds PS 30073	Mold's (stone) thickness 1 inch ( 2.5 cm)	Approximate Mold meas..
Paver stepping stone molds PS 30075	Mold's (stone) thickness 1 inch ( 2.5 cm)	Approximate Mold meas..
Paver stepping stone molds PS 30081	Mold's (stone) thickness 1 inch ( 2.5 cm)How to Make Concrete S..
Paver stepping stone molds PS 30091	Mold's (stone) thickness 1 inch ( 2.5 cm)	Approximate Mold meas.. Concrete Railing Stone MoldThere are different mold models but it is the same Mold style. If you u..